After the unemployment rate in Elko County briefly jumped to 4.2 percent in January 2018, it has declined for three straight months to 3.4 percent in April. That ranks as the second-lowest unemployment level among all Nevada counties. The lower unemployment rate is not the result of increasing employment but rather a smaller labor force, which reported year-over-year declines in three straight months and in five of the past seven months. In April 2018, the labor force decreased by 2.3 percent from the year prior, while total employment declined by 2.0 percent to 25,788. Total private sector wages earned in 2017 grew by 5.2 percent from 2016, fueled by the two best quarters for total wages in Elko County since 2012. Consumer spending indicators also reported positive trends. The trailing 12-month total of taxable retail sales grew year-over-year for three straight months through March 2018 following a 13-month streak of decline. Elko County gross gaming revenue in the 12 months through April 2018 climbed 6.9 percent year over year to $288.0 million, marking 14 consecutive months of year-over-year increases. Housing prices in Nevada continue to rise at a rapid pace, increasing 13.7 percent year-over-year through the first quarter of 2018, which was the fastest housing appreciation in the country according to the Federal Housing Finance Agency House Price Index. While the rapid increase in prices has been challenging for homebuyers, it has been a boon to both homeowners and home builders, who have steadily increased construction activity to meet growing demand. Elko County employment in the mining and agriculture sectors reported positive trends to close 2017. In the fourth quarter of 2017, mining employment in Elko County grew 10.3 percent year over year, and average employment in the sector for 2017 was 13.2 percent higher than 2016. Wages paid in the mining industry also grew significantly in 2017 as employees in Elko County earned 11.9 percent more than in 2016, nearly four times the statewide growth of 3.0 percent for the year. Total gold production in Nevada grew to 5.64 million ounces in 2017, a 3.2 percent increase from 2016. Nevada accounted for 72 percent of total U.S. gold production and would rank fifth among the largest gold-producing countries, behind China, Australia, Russia and Canada. The average price of gold rose slightly during 2017, averaging $1,257 per ounce on the year. For the first five months of 2018, gold has averaged a price of $1,325. As mineral prices have risen and both the Nevada and national economies have improved, mining companies have begun to expand operations throughout the state. This includes Elko County, where Premier Gold Mines plans to construct or expand its South Arturo and El Nino mines near Carlin. Cattle ranching and farming in Elko County also performed positively in 2017. Employment in the fourth quarter of 2017 was up 4.4 percent year over year in Elko County. Wages paid in the sector grew similarly, increasing 3.9 percent in Elko County during the year. Gross gaming revenue in Elko County totaled $282.6 million in 2017, a 5.2 percent annual increase that was the highest year-end growth rate since 2007. By comparison, statewide gaming revenue grew by 2.8 percent in 2017. Trailing 12-month totals for taxable retail sales in Elko County declined on a year-over-year basis for 13 consecutive months through December 2017. However, that month reported a single-month total of $134.3 million, the highest level in two years, resulting in a slight decline in annual taxable sales of 0.2 percent. In the fourth quarter of 2017, Nevada continued to rank among the top performing states for home price appreciation. The federal purchase-only House Price Index for the state increased 11.5 percent compared to the prior year, ranking third in the nation. The states that outperformed Nevada were also all in the West: Washington and Idaho. Gold prices remained steady through the end of the year, and December 2017 marked the 17th straight month of year-over-year increase in the trailing 12-month average price of gold. Taxable retail sales attributed to the mining industry in Nevada also improved late in 2017, with October ending a seven-month streak of year-over-year declines in the trailing 12-month total. The year closed with $256.3 million in total mining-related taxable retail sales, a 0.7 percent increase over 2016. Through the second quarter of 2017, Elko County mining employment increased 14.5 percent year over year, and total wages paid to mining workers in the county rose 16.0 percent. The mining industry was one of the fastest growing sectors of the U.S. economy during 2017, and the same was true within Nevada. Statewide mining gross domestic product was up 16.1 percent year-over-year as of the third quarter of 2017. Nevada’s cattle inventory grew from 445,000 head at the start of 2017 to 465,000 head at the start of 2018, an increase of 4.5 percent. Beef prices also increased throughout 2017 after declining in 2016. The January 2018 average price of beef per pound rose by 4.5 percent year over year to $7.42 per pound. Employment in cattle ranching and farming within Elko County has also posted year-over-year gains in four straight quarters through the second quarter of 2017, rising to 216 in that timeframe. Total wages paid in the ranching and farming industry in Elko County grew significantly during those four quarters as well, rising by 9.8 percent over the prior four quarters to reach over $6.1 million. Hay prices in December 2017 were $170 per ton, 18.1 percent higher than the same period in 2016 despite falling slightly from their peak in June and July. In October 2017, overall employment in Elko County declined slightly for the fourth straight month, yet remained 2.2 percent higher than the prior year with nearly 26,000 workers. The size of the labor force also declined slightly for the third consecutive month. These changes pushed Elko County’s unemployment rate to 3.4 percent, among the lowest in the state and well below the statewide rate of 4.8 percent. Elko County’s unemployment rate declined by 0.6 percentage points year-over-year, a faster improvement than the statewide decline of 0.4 percentage points since October 2016. Wage growth in Elko County has been another economic highlight. Weekly wages averaged $907 in the second quarter of 2017, a 3.2 percent increase over the prior year. On a trailing 12-month basis, average weekly wages reached an all-time high of $946, 4.1 percent better than the prior year. Total wages during the same time period climbed 4.7 percent to $216.2 million over the year, and on a trailing 12-month average basis, the improvement is even greater, with 5.8 percent growth over the prior year. Other indicators reported mixed results. Gross gaming revenue in Elko County recorded positive year-over-year growth in six of the past seven months through September 2017, with performances no lower than 4.5 percent in those positive months. On a trailing 12-month basis, gaming revenues grew year-over-year by 2.7 percent in both August and September, the best performance since December 2015. Meanwhile, taxable retail sales in the 12 months through August 2017 reported a 2.2 percent year-over-year drop, the ninth straight month of declining performance. The mining and agriculture sectors of Nevada and Elko County’s economies have performed better over the past year than the rest of the economy. While Nevada’s average weekly wage rose 2.7 percent year-over-year in the second quarter, the average weekly wage for mining operations increased by 8.7 percent. Total mining wages in the state increased by 10.2 percent in the same timeframe. Elko County ranching and farming wages reported a similar 10 percent increase from the prior year. This trend mirrors the national trend for the mining and logging sector, which has shown the largest employment increase nationally by a wide margin over the past year. In October 2017, jobs in mining and logging grew by 8.2 percent over the past 12 months in the United States. The next best performers, construction and professional or business services, were tied with 2.6 percent growth. In November 2017, the Governor’s Office of Economic Development (GOED) brought representatives of 10 Canadian mining companies to Elko County to learn what the region has to offer as an investment opportunity within the mining industry. Mining jobs are some of the most lucrative in the state, with average weekly wages for the industry more than twice the state average, and GOED has continued to make the industry a priority in the new Nevada economy. Attracting new companies to the state and expanding operations for mining in-demand minerals such as lithium will provide additional growth opportunities for one of Nevada’s original industries. Elko County’s unemployment rate rose for the second consecutive month to reach 3.9 percent in July 2017. This coincides with three consecutive months of labor force growth through July, which reversed the downward trend of much of the past year. Despite the rising unemployment rate, Elko County is tied for the second-lowest rate in the state behind Eureka County’s 3.3 percent and is well below the state average of 5.1 percent. While rising unemployment rates are generally a negative sign for the economy, the recent elevation was attributable to an expanding labor force rather than job losses. While employment has recorded modest growth, wages in Elko County have grown significantly, as total wages for the first quarter of 2017 increased 3.7 percent over the prior quarter and 13.8 percent over the prior year. Gross gaming revenues in the county also experienced significant growth. The $25.2 million in gross gaming revenue for July 2017 was 11 percent more than the county reported in June and 8.1 percent higher than the total from the previous July. Taxable retail sales also saw growth, albeit slightly more modest. The latest data available show that taxable retail sales totaled roughly $132.7 million in June 2017, 1.0 percent greater than the prior year. While many indicators have shown positive trends recently, the private business count in Elko County has been declining. The total fell to 1,296 during the first quarter of 2017, a decline of 3.5 percent from the prior quarter and 4.8 percent from the previous year. The monthly average price of gold rose above $1,300 per ounce for the first time in 2017, climbing to $1,312 per ounce in August 2017. That month also marked the 13th straight month of year-over-year growth of the 12-month rolling average price, indicating stable long-term growth despite month-to-month fluctuations. Employment in the mining sector also rose to a two-year high during the quarter, reaching 11,400 in July, 0.9 percent higher than July 2016. While the year-over-year growth was modest, the mining sector in Nevada has grown by 4.6 percent since the start of 2017. 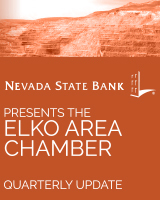 In Elko County, the growth has been more significant. Data from the first quarter of 2017 reported 1,170 mining jobs in Elko County, 17.1 percent greater than the previous year. Hay prices continued to rally, rising from $169 per ton in May to $179 in June, an increase of 5.9 percent. Average prices have gone six months without declining, and June’s price of $179 per ton was 11.9 percent greater than the prior June’s price. Positive signs for the agricultural sectors can also be seen in wage data. While the $1.3 million in total wages for the sector in Elko County during the first quarter of 2017 were 23 percent below the prior quarter, the first quarter of each year is generally slow for the industry. Year-over-year total wages in the sector showed strong growth of 11 percent. While Elko County’s long-term trend of declining employment has continued, the decline has slowed recently. As of April 2017, the trailing 12-month average was only 13 jobs below where it was for the same period last year. Despite the stagnating levels of overall employment, Elko County’s unemployment rate has steadily declined, registering 3.5 percent in April. This ranked as the second-best mark in the state behind only Eureka County’s 3.0 percent and fell well below the state average of 4.7 percent. These contradictory numbers are partially explained by Elko County’s slowly shrinking labor force, which is likely a result of an aging population and migration to other areas of the state. Statewide initial unemployment insurance claims have continued to decline, with the trailing 12-month total for April 2017 falling 7.6 percent below last April’s level. Average weekly hours worked by Nevada employees have remained relatively constant for several years, fluctuating in the 33- to 34-hour range. Over the past 12 months, however, that number has grown faster than at any point during the past decade on a trailing 12-month basis, rising 1.5 percent to 34.1 hours in April 2017. Housing in Nevada has continued to show strong price appreciation. The House Price Index for the first quarter of 2017 was 8.9 percent higher than the same period the previous year, ranking Nevada seventh in the nation. Elko County has reported recent declines in taxable retail sales, which in February 2017 showed a trailing 12-month decline of $41.3 million from the prior year, a 2.8 percent drop. February marked the third straight month of trailing 12-month declines after 18 straight months of growth in taxable retail sales. Gaming revenue in the county has shown positive growth, however, riding a particularly strong month of March when gaming revenues rose 12.8 percent over the prior year. Overall, Elko County’s trailing 12-month total gaming revenue climbed 1.3 percent higher than the previous year. The mining and agriculture industries have experienced recent positive signs in Elko County and throughout the state. Mining employment in Nevada has increased nearly 2 percent since the beginning of 2017, numbering 11,000 in April 2017, up from 10,800 in December 2016. Rising mining employment coincides with the rising price of gold, which has trended higher since the start of the year after declining over the second half of 2016. Gold averaged $1,266 per ounce in April 2017. While this represents a 1.6 percent decrease from the prior year, the more recent trend is entirely positive as gold has increased in price by 10.5 percent since the $1,146 per-ounce average in December. The trailing 12-month average price of gold has grown year-over-year for nine straight months, the first period of price growth in more than three years. Mining wages in the state recorded year-over-year growth in both average weekly wages and total wages in the fourth quarter of 2016. Average weekly wages grew 3.9 percent over the prior year to $1,830, while total wages grew 5.6 percent to $261.3 million. Although there was significant growth compared to the prior year, slight declines were reported between the third and fourth quarters as average weekly wages fell by 1.1 percent and total wages declined 2.1 percent. Overall, that decline appears to mirror a multi-year pattern with wages trending upward in the long term. Hay prices have also performed well over the past year, with the April 2017 average of $167 per ton climbing 32.5 percent higher than April 2016 prices. More than half of that growth has come since the beginning of 2017. Beef prices are also beginning to show signs of rebounding. After declining by 10.7 percent between July 2015 and January 2017, prices have remained fairly stable so far this year, rising 1.1 percent between January and April, the latest month of available data. This stabilization is important for the value of the state’s cattle herds, which lost over 19 percent of total value during 2016 despite growing 2.3 percent with the addition of 10,000 head. 2016 was a strong year of growth for Nevada’s economy. Nevada’s Department of Employment, Training and Rehabilitation (DETR) recently reported that the state added 41,000 jobs during 2016, which dropped the seasonally-adjusted unemployment rate to 5.1 percent in December, down from 6.3 percent in December 2015. Initial unemployment insurance claims were 11.7 percent lower in 2016 as well, indicating a lower level of turnover for the year. Elko County employment has not followed the same trend, shrinking slightly by 0.2 percent between December 2015 and 2016. However, the county’s unemployment rate saw a decrease identical to Nevada, dropping from 5.1 percent to 3.9 percent, giving it the third-lowest unemployment rate among Nevada’s counties behind Esmeralda and Eureka. Total wages in Elko County showed strong growth late in 2016, with third quarter earnings in the county totaling nearly $219 million. This represented a 5.9 percent increase from the second quarter of 2016 when wage earnings totaled just $207 million and was 4.6 percent higher than the third quarter of 2015 when $209 million of wages were earned. These gains came even as the total employment level dipped slightly over the course of the year. Wages in mining and agriculture grew significantly in the third quarter and were likely a significant contributor to these overall gains. According to DETR, statewide average private weekly wage earnings rose 10.7 percent year-over-year in the third quarter. Taxable retail sales rose slightly in Elko County over the past 12 months through November when compared to the prior year, growing by 1.8 percent to nearly $1.5 billion. Gross gaming revenue also increased slightly, rising by 1.1 percent in 2016. Statewide, home values have seen significant increases. In the third quarter of 2016, average home values were 7.8 percent higher than the same quarter in the prior year. While prices remain below peak levels from the boom years of the early 2000s, they have shown strong and steady growth in recent years. January 2017 gold prices were up 5.8 percent from December 2016 and up 9.1 percent from the prior January. Overall, 2016 saw higher average gold prices than 2015, which is a positive sign for the mining industry in Nevada. Statewide there was no growth in mining employment throughout the year, measuring 10,800 jobs at the end of 2015 and 2016. Wages in the industry, however, have shown positive signs. The most recent wage data available is for the third quarter of 2016, when average weekly mining wages showed a 2.6 percent gain from the prior year, and total mining wages paid grew 1.1 percent in the same period. Mining’s contribution to statewide taxable retail sales declined over the past year, with the trailing 12-month total for November 2016 falling 0.5 percent from the prior 12-month period. Agriculture in Nevada has experienced price declines throughout 2016. Hay prices averaged $189.50 per ton in 2015, but just $147.64 through the first 11 months of 2016, a difference of just over 22 percent. For Nevada’s cattle ranchers, 2017 marks the second straight year that the total cattle herd has grown, now numbering roughly 445,000 head. However, 2017 is also the second straight year that the total value of those cattle has declined due to the falling price of beef. In 2015 Nevada’s cattle were worth an estimated $748 million. In January 2017, the state’s herd had an estimated value of $512 million, a loss of over 32 percent, despite growth of 15,000 head in the same period. Leading up to 2015, prices rose at an extraordinarily fast rate, a trend that the market is now correcting. Regardless of this loss of value over the past two years, Nevada’s cattle herd value is up 23.6 percent since 2010 despite a slightly smaller herd by head count in 2017. Even as prices have declined in certain agricultural areas, employment and earnings in the industry showed strong growth. In the third quarter of 2016, employment in the sector for Elko County was 8 percent above the third quarter of 2015, and total wages paid climbed nearly 14 percent to over $1.5 million in the same timeframe. While Nevada as a whole has seen employment growth of roughly 2 percent over the past year, Elko County has seen stagnation, growing only 0.3 percent over the same period. However, this seems to be the result of a shrinking workforce rather than lack of opportunity: Elko outperforms most of the state by far in unemployment rate, registering just 4.1 percent in September compared with the statewide figure of 5.8 percent. Elko County mirrors the strong statewide trends in many other indicators, with strong year-over-year growth in total earned wages, taxable retail sales and gaming revenues. Total wages in Elko County increased 3 percent from 2015 to $206.6 million in the second quarter of 2016. Taxable retail sales were up 5 percent in August 2016 compared to August 2015, with a total of $129.7 million. Finally, gross gaming revenues were up 4.9 percent year-over-year in September, rising to $23.5 million. Elko County’s year-over-year wage growth comes despite a statewide decline in average weekly wages in the mining industry, an important segment of the Elko area economy. Elko County also recorded 1.9 percent year-over-year growth in private business establishments, up to 1,346 in the second quarter of 2016. This increase, along with the statewide 2.4 percent increase in average weekly hours worked over the past year, show the increasing availability of opportunities for the workforce in both Elko County and Nevada as a whole. Gold prices have started to decline slightly after posting strong growth throughout the first half of 2016. At the end of October, gold was priced at $1,272 per ounce, a 5.2 percent drop from the July 2016 high of $1,342. However, the price remained 11.4 percent higher than the October 2015 price of $1,142 per ounce and 20 percent above the six-year low of $1,060 in December 2015. Mining employment in Nevada has stagnated over the past year, registering 10,900 jobs statewide in October 2016. This represents no change over the past year, as 10,900 mining jobs were also reported in October 2015, and a slight drop of 1.8 percent from the 11,100 mining jobs recorded in June and July of 2016. Wages in the cattle ranching and farming sector of Elko County’s economy continue to grow, reaching nearly $1.4 million in the second quarter of 2016, up 5.1 percent from the second quarter of 2015. Elko County employment in the sector for the second quarter was 211, identical to the same period in 2015. Therefore, per capita income for workers in the ranching and farming sector grew by the same 5.1 percent over the past year. Hay prices were down year-over-year, falling 8.9 percent to $144 per ton in September 2016. However, that price is significantly above the low point in April 2016 when hay sold for $126 per ton. Beef prices have continued to decline steadily throughout 2016, with retail value falling to $5.96 per pound in the third quarter of 2016, 5.6 percent below the $6.31 per pound during the third quarter of 2015. Nevada continues to steadily gain economic ground as employment figures showed another quarter of improvement. Nevada reported nearly 1.29 million jobs in July 2016 (latest available data), a 2.7 percent increase over the same period in the previous year. Unemployment also saw positive trends as Nevada reported an unemployment rate of 6.5 percent in July 2016 (latest available data). This represents a drop of half a percentage point from July 2015. Elko County continues to see a gradual decline in employment despite the positive state-level trends. In July 2016, Elko reported 26,070 jobs, which represents a decline of 0.6 percent from the same month in the prior year. Even with the slight dip in total jobs, the unemployment rate in Elko County improved to 5.0 percent in July 2016, a 0.3 percentage point drop from a year earlier. The county’s rate also remained well below the statewide average. Taxable retail sales in Nevada maintained their positive trend in June 2016, improving 4.8 percent on an annual basis to $52.8 billion. Elko County taxable retail sales increased as well, climbing 3.2 percent on a rolling 12-month basis to $1.5 billion. June 2016 marked the seventh consecutive month of annual growth of 3.0 percent or more, a welcome trend after Elko County retail sales growth stagnated through most of 2015. The price of gold has been on the rise in 2016, nearing prices that haven’t been seen in three years. Since reaching a recent low of $1,060 per ounce in December 2015, the price of gold has steadily climbed to $1,342 as of July 2016. That price represents a 22.2 percent improvement over the prior year and a 26.6 percent from the December 2015 low. Though the price of gold has climbed in the past year, metal ore mining employment in Nevada has declined. Nevada reported 11,100 industry jobs in July 2016, a 3.5 percent decline from the 11,500 industry jobs a year earlier. Yet mining workers saw average weekly pay climb to $2,179 in the first quarter of 2016, a 2.0 percent increase over the prior year and a 23.7 percent rise over the previous quarter. Mining-related taxable retail sales have also reported positive growth, rising 5.9 percent to $258.2 million over the prior 12 months through June 2016. On the state agriculture front, total wages in the cattle ranching and farming sector increased to $1.2 million in the first quarter of 2016, an improvement of 4.7 percent over the prior year. Meanwhile, hay prices in the state have decreased over the past 12 months. Hay sold for an average of $159 per ton in May 2016, a price that was 20.5 percent below the $200 of a year earlier. Nevada’s economy carried over many of the positive trends of 2015 into the early part of 2016. Statewide annual job growth reported a 2.9 percent improvement in April 2016 (latest data available) on a rolling 12-month basis. The addition of 30,200 jobs over the previous year brought total employment in Nevada to 1.28 million. If that growth rate continues, the state will return to pre-recession employment levels before the end of the year. Nevada still has one of the nation’s highest job growth rates, though its ranking has declined from second to eighth since March 2015. Meanwhile, the state’s unemployment rate continued its improvement over the past year, declining from 6.9 percent to 5.8 percent. In Elko County, the number of jobs has been shrinking on an annual basis since September 2013. Since that point, trailing 12-month average employment has fallen from 27,260 to 25,960, an overall decline of 4.8 percent. Over the past year, the number of jobs in the county dropped 2.2 percent. Despite that trend, a shrinking labor force helped the countywide unemployment rate improve from 5.3 percent to 5.0 percent during that timeframe. Taxable retail sales in Nevada maintained their positive trend in March 2016, improving 4.6 percent on an annual basis to an all-time high of $52.0 billion. Elko County taxable retail sales increased as well, climbing 3.9 percent on a rolling 12-month basis to $1.5 billion. March 2016 marked the fourth consecutive month of annual growth at or near 4.0 percent, a welcome trend after Elko County retail sales growth had stagnated through most of 2015. After an extended period of overall decline, the price of gold had its best four-month stretch since mid-2012. Between December 2015 and April 2016, the price of gold has climbed 21.3 percent from $1,060 to $1,286. That surge pushed the price to its highest point since August 2014, and the latest price represents a 9.0 percent increase over April 2015. Even as the price of gold has improved, metal ore mining employment in Nevada has declined. The 10,800 jobs reported in April 2016 represent a 3.6 percent decline from the 11,200 industry jobs a year earlier. Metal ore mining employment peaked at 12,300 in July 2013 after a period of significant growth in gold prices. The trend in pay for metal ore mining workers has remained positive, however, as average weekly wages for the industry rose to $1,762 in the fourth quarter of 2015, a 5.6 percent increase over the prior year. Mining-related taxable retail sales have also reported positive growth, rising 4.7 percent to $256.2 million over the prior 12 months through March 2016. On the state agriculture front, Nevada recorded 435,000 in cattle inventory (including calves) as of January 2016. That total signified a modest 1.2 percent increase from the 430,000 reported a year earlier. Value per head of cattle declined significantly over the period, falling 16.1 percent from $1,740 to $1,460. Hay prices in the state have decreased in the past 12 months, as well. Hay sold for an average of $126 per ton in April 2016, a price that was 40.8 percent below the $213 of a year earlier. Nevada finished 2015 with a bevy of positive economic news, including a number of indicators that closed the year among the best in the nation. The state’s expanding jobs market led economic news headlines throughout the year. Annual average employment grew by 37,500 jobs in 2015 for an annual growth rate of 3.1 percent. That rate ranked sixth-best in the United States. If statewide employment continues to expand at about the same rate in 2016, the total number of jobs will return to pre-recession levels later this year. Growing employment pushed the state’s seasonally adjusted unemployment rate down to 6.4 percent, the lowest since 2008. Despite the improvement, Nevada’s unemployment rate remained among the three highest in the country. In contrast to state trends, Elko County’s annual average employment shrank to 26,125 (-1.9 percent) in 2015, and its unemployment rate climbed to 5.0 percent in December 2015, up slightly from 4.8 percent a year earlier. Nevada’s strengthening labor market sparked a surge in wage growth as employers have raised pay to attract and retain workers. Although average weekly hours remained flat at 33.6 (+0.5 percent) over the year, average weekly wages climbed 5.2 percent to $736.92. Nevada’s wage growth rate in 2015 led the nation and more than doubled the average U.S. rate of 2.4 percent. Improving job prospects, rising pay and growing home values in Nevada contributed to rising consumer confidence. Statewide taxable retail sales, the primary measure of consumer spending, grew by 5.5 percent to a record $51.7 billion in 2015. Annual retail sales in Elko County grew 4.1 percent to $1.5 billion last year, which remained below peak levels reported in mid-2013. Barrick Gold recently announced a major expansion of operations that includes a $1.5 billion investment in three Nevada mines. The largest investment of $1 billion will be made to develop an underground mine at Goldrush, a new deposit near Elko. When it comes online in 2021, the mine is expected to produce 440,000 ounces of gold a year. At the Turquoise Ridge mine near Winnemucca, Barrick will invest up to $325 million to add a third shaft that will boost annual gold production from 280,000 ounces to 500,000 ounces. Barrick owns a 75 percent interest in the Turquoise Ridge mine. Additionally, the company announced a $153 million investment to extend the Cortez Hills mine deeper underground. 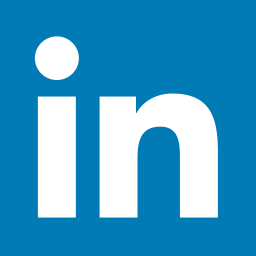 When finished, the expansion would increase production by 300,000 ounces per year. Barrick’s announcement comes as the gold mining industry continues through a steady decline phase. The U.S. monthly price of gold in December 2015 dropped to $1,060 per ounce, its lowest point since October 2009. The latest gold price represents a 12.1 percent decline from a year earlier and a 41.6 percent tumble from the August 2011 peak of $1,814 per ounce. Metal ore mining employment in Nevada generally tracks gold prices. In line with the falling gold price, monthly employment in December 2015 dipped to 10,300, an 8.8-percent drop from the prior year and the lowest mark since March 2011. At the July 2013 peak, metal ore mining employed 12,300 workers in Nevada. While the number of metal ore mining employees has declined, the amount of money they are earning has climbed. In the third quarter of 2015 (latest data available), average weekly wages increased to $1,804, a 6.8-percent improvement from the prior year, and total quarterly wages reached $264.1 million, a 5.6-percent increase over the same period.